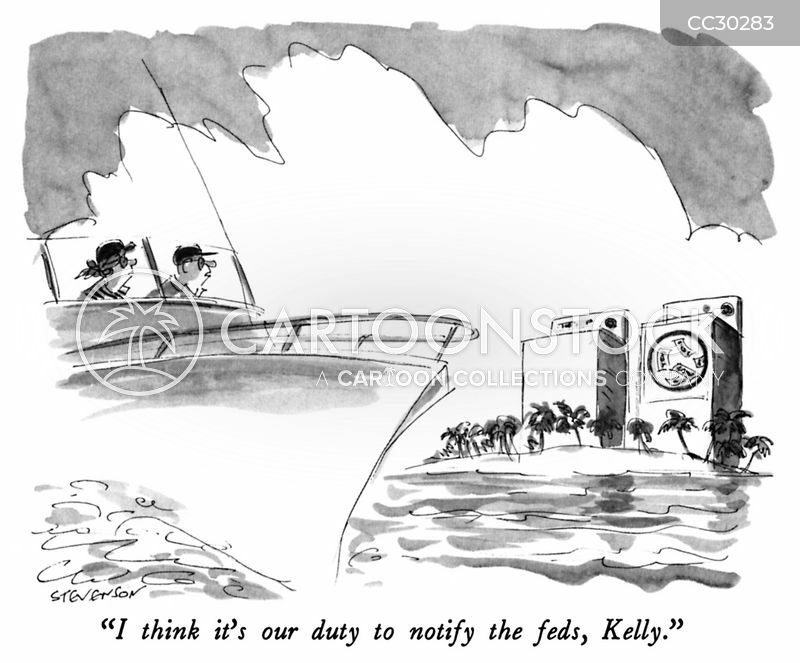 "I think it's our duty to notify the feds, Kelly." 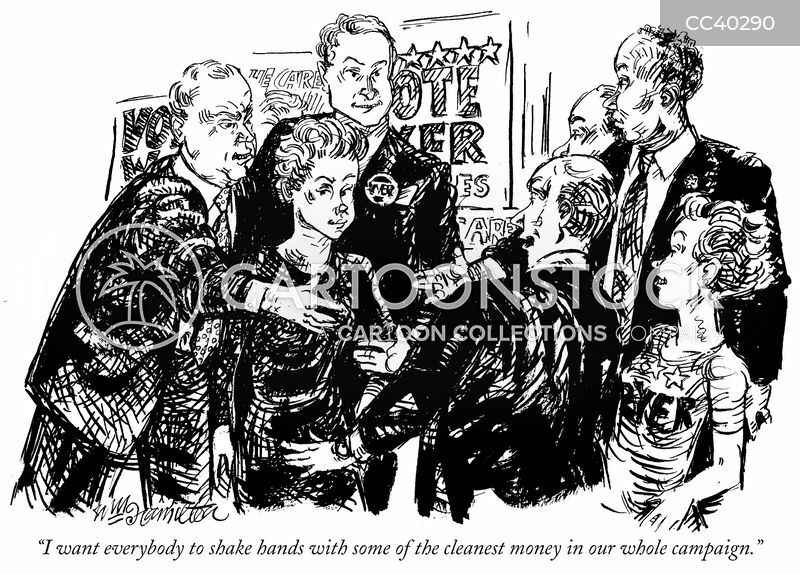 "I would never launder money. 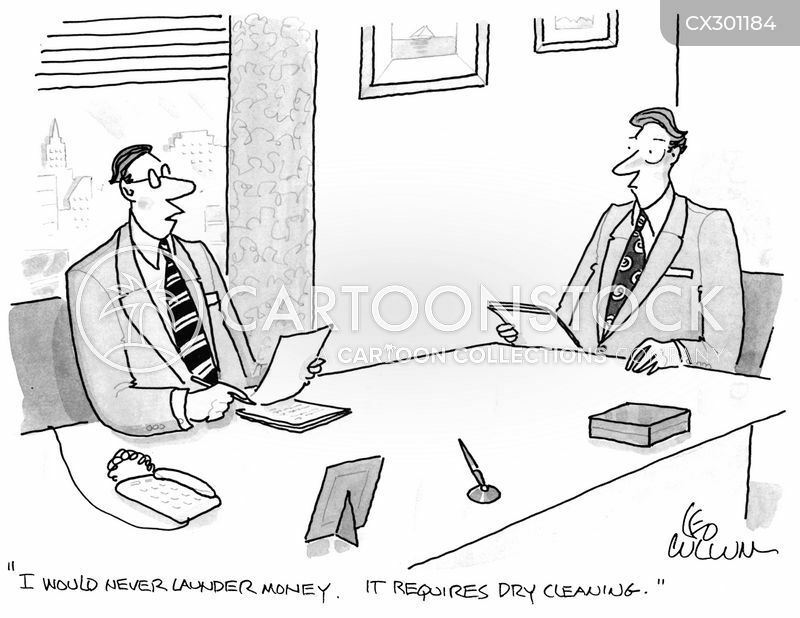 It requires dry cleaning."